Information seeking is a part of research process to which one returns time and time again. Information seeking is defined by a goal, the nature of the task at hand, whether it’s related to studying, work or leisure. Information retrieval for a thesis can be seen as information seeking as research: it’s systematic and recurrent. 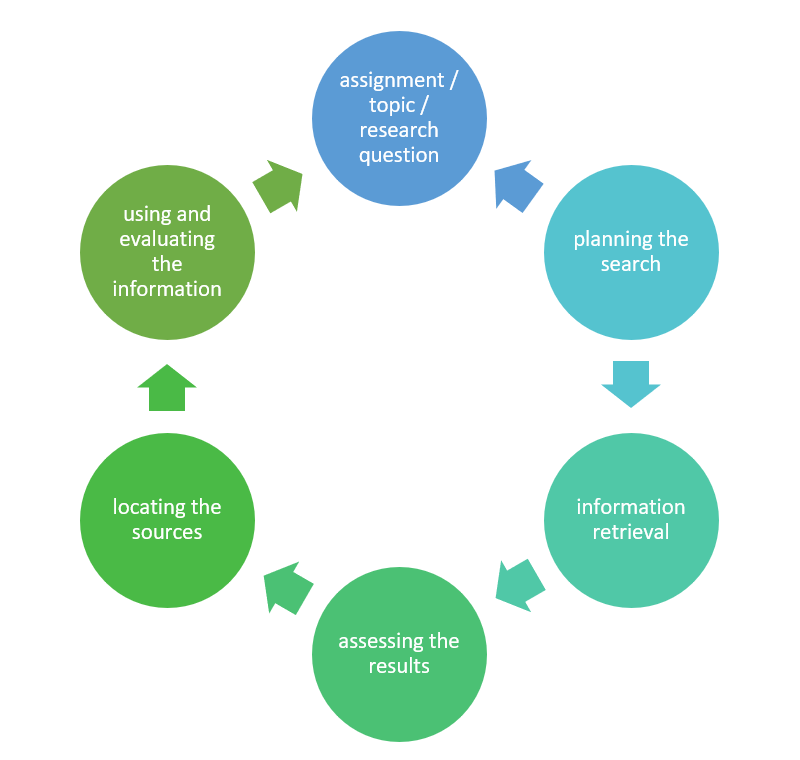 The process of information seeking goes side by side with the research process. Information seeking can be described as a process (see image below) where there are several stages. In real life the stages don’t necessarily follow each other but they go side by side. Workload at different stages varies, but all in all information seeking is a time consuming process, so it’s a good idea to get started early on in the research process. Avoid unnecessary work and document your searches! Find out more on the page of this guide.